Rigondeaux Defeats Donaire: How Does This Shake Up The P-4-P Rankings? 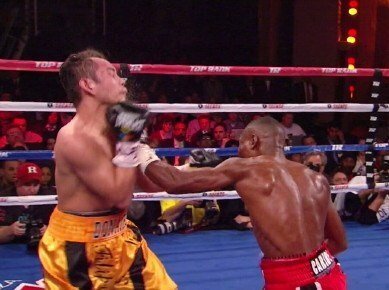 Cuban talent Guillermo Rigondeaux upset and out-pointed Filipino sensation Nonito Donaire last night in New York (an upset? well, many good judges picked “The Filipino Flash” to get the victory), and the 12-0 master feels he is deserving of a lofty position in the new mythical pound-for-pound ratings as a result. In fact, “El Chacal,” who is more style than sizzle – with some fans feeling Rigondeaux is somewhat boring to watch; hence last night’s smattering of boos – feels he should be ranked at p-4-p number-one! That’s not likely to happen, but where does the newly unified WBA/WBO 122-pound ruler deserve to be placed? You are here: Home / Boxing News / Rigondeaux Defeats Donaire: How Does This Shake Up The P-4-P Rankings?